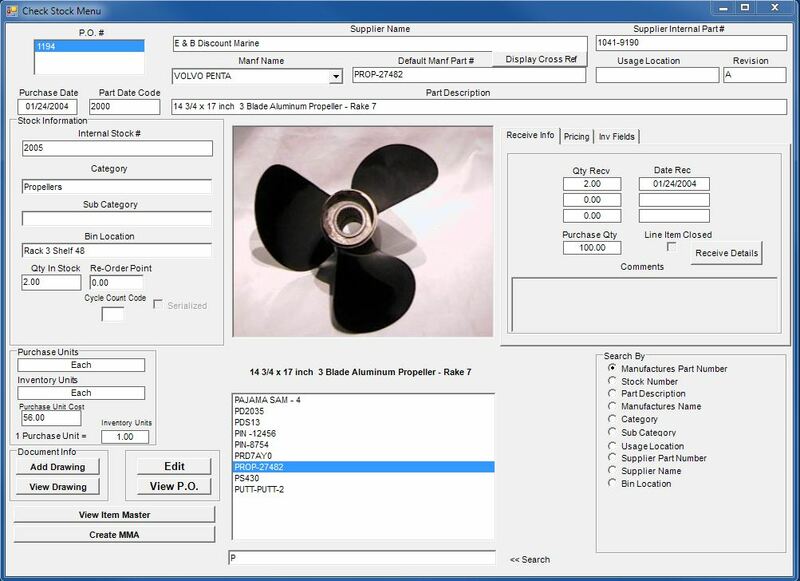 This software uses a nine method Inventory search engine to locate the inventory items. All data is visible on this screen. The search capability includes: stock number, manufacture part number, part description, category, sub category, supplier name, usage location, supplier part number, and bin location. Five additional user definable fields can also be searched. The 'Locate Stock' screen has the ability to reference several types of documents to the inventory part number. 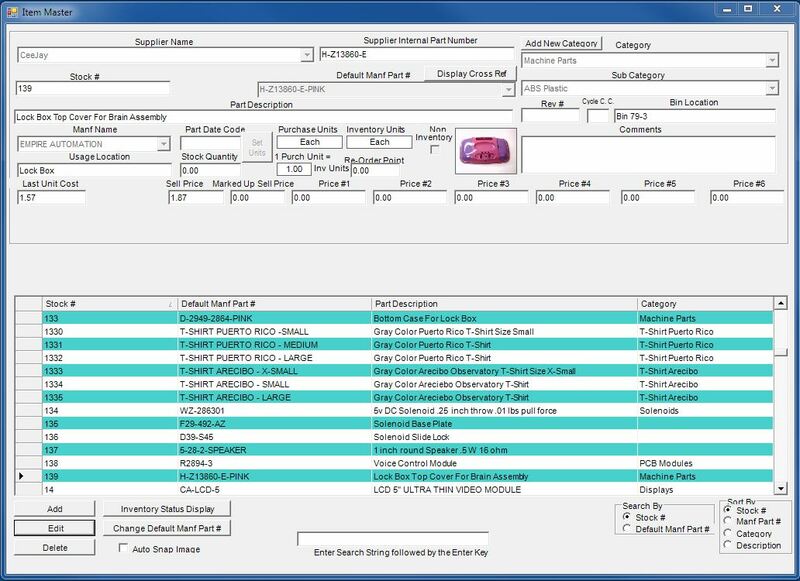 From this screen the software user can create a list of items or a MMA to bring to the inventory parts stock room.